My cousin finally got married this past Saturday night. The ceremony and reception were both outdoor. The weather was awesome, and the whole event was an overall success. I was so happy for my cousin. She was so worried is would rain. Check out the new types of LED string lights that are available at the String Light Store. The website has an awesome selection and their customer service is the best anywhere. Ask for Sam if you have a special request. 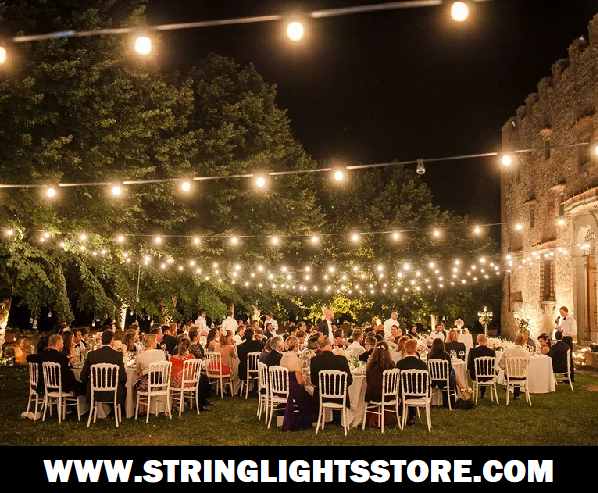 For wedding lights and event lighting, it makes sense to contact the String Light Store. Savvy Shopper Program is Team Santa Inc,’s most recent project announcement in the company’s continuing effort to make online shopping not only simpler but also more fiscally prudent. No “penny pincher program” here, but instead an attempt to use common sense and good fiscal practices to put yourself in a better cash position. Savvy Shopper Program is a concept where saving money doesn’t always mean buying at the lowest prices. We are going to show you going forward exactly what we mean. Remember, “stop, look and listen” that can be used for comparison, but yet the Savvy Shopper Program is different. 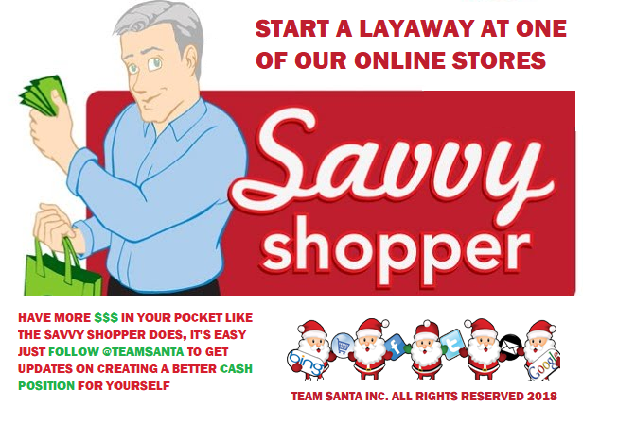 The Savvy Shopper Program emanates from the new Team Santa Inc. layaway program which illustrates clearly how you can become an overall smarter shopper. You don’t have to SAVE money at a SALE to be a smart shopper. That is a huge misconception. The layaway program lets you make payments anytime you want. You can put down a deposit as low as $10 on your order for holiday string lights and/or Christmas decorations for Christmas 2018. Listen, i’m aware that we are talking 8 months here, but just watch how fast it comes. It will be here before you know it. Putting yourself in a better cash position is absolutely one of the most important decisions you can make. Cash flow is defined by “having available cash” and it’s not always about saving money at a SALE. Team Santa’s layaway program is a perfect example. Paying off a bill over time can be a better option than to pay the bill all at once. It is not rocket science. Another good example would be where there is no need to fill your car with gas, when the gas tank is already three quarters full. It just doesn’t make fiscal sense to do things like that. 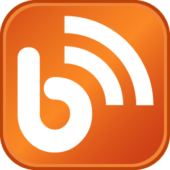 The Savvy Shopper Program from time to time will provide content via this website that you can use to put yourself in a better cash position. Please follow @Teamsanta. and you will always be kept up to date on all of our suggested practices designed exclusively to enhance your cash position. Until we get a chance to meet again, I wish you all the best. Please remember to always use good fiscal practices. You will have more CASH on a daily basis. There is much more to come. We have an awesome deal if you want to buy some LED G12 string lights and save a crazy amount of money at the same time. Available immediately, we have high quality 50 light G12 globe string lights for only $7.99 each. You get 50 G12 globe string lights for less than $8 and the lights are high quality LED, so they have some wonderful advantages. Normally, the LED 50 G12 globe light string is $25.99 list price. We have it right now in Deal 015 for only $7.99. This is the lowest price ever! After discount they are still $20. So, $7.99 is the lowest price you will find anywhere! This offer ends 03/31/18. This offer is good while supplies last. Until the next time, Happy Decorating! Do we have a special Deal 013 for you? Is anyone out there looking for high quality pre-lighted artificial Christmas tree? If so, then look no further TeamSantaDeals.com has brought you the “ultimate deal”. That’s right, our tree is 7-foot-tall prelighted tree has 350 high quality clear Christmas lights PRE-INSTALLED on the tree. We’re talking about the prelighted Rockwell Spruce. The needles on the branches are so natural looking that you cannot tell the difference between the Rockwell Spruce and a live tree. This is serious stuff folks. This tree is phenomenally real looking. The Rockwell Spruce is also incredibly realistic both visibly and to the touch. It’s amazing what they can do with machines these days. The tree comes with its own high-quality tree stand (does not add any height to the tree) and the tree itself has a 10-year warranty and there’s a 5-year warranty on the lights. You know a product is high quality when you get that type of warranty. This prelighted artificial Christmas tree can be yours for only $119 delivered to your door inside the continental US. Shipping via UPS or FedEx. 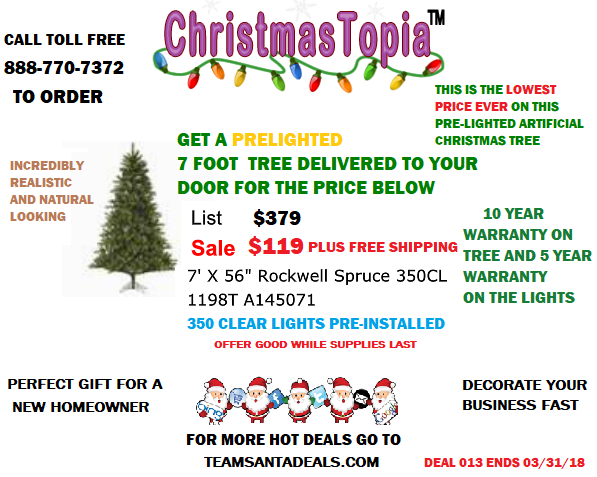 The tree sells for a list price of $379 on Christmastopia.com. That’s more than a $250 difference. There are 9 of these trees left so if you want one you can order it at – TeamsantaDeals.com ASAP. This is your chance to score big, offer ends 03/31/18. Offers are only good while supplies last. I can guarantee you that it does not get any easier than this? 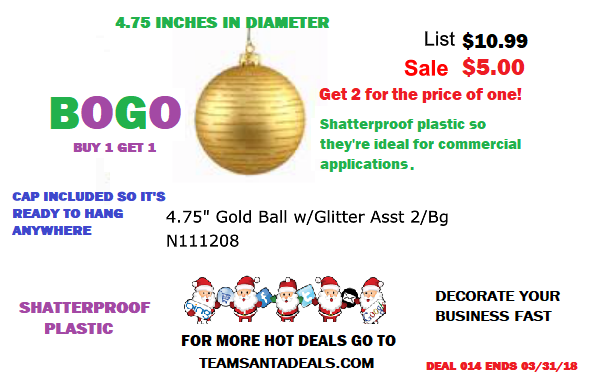 Taking just a little time out of your busy day to participate in one of Team Santa Inc. new HOT DEALS at blog.teamsanta.com. It’s time to put some $$ back in your pocket. Today we introduce to you DEAL005. 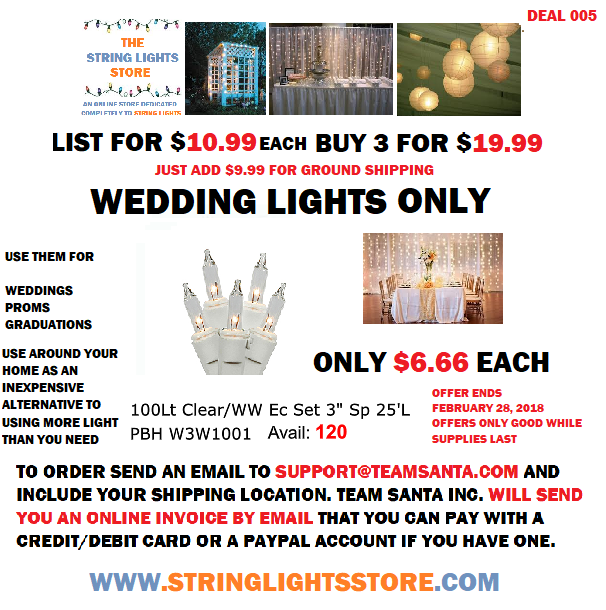 A string light deal so good that it will save $$ for the wedding couple getting married in 2018. Deal 005 includes wedding lights. For those of you who are not familiar with the term “wedding lights”, it means those cute little white mini lights that you see at the wedding ceremony and/or reception. They can also be used to provide accent lighting to areas at restaurants, pubs, bars and other types of celebratory events and places. So now to the DEAL 005. Team Santa Inc. has put together a deal well suited for the gloried occasion of matrimony. It is designed to save the bride and groom BIG $$. You get 3 strings of wedding lights for $20. Just add $10 bucks for ground shipping and you will have made for yourself a good deal on your wedding lights. 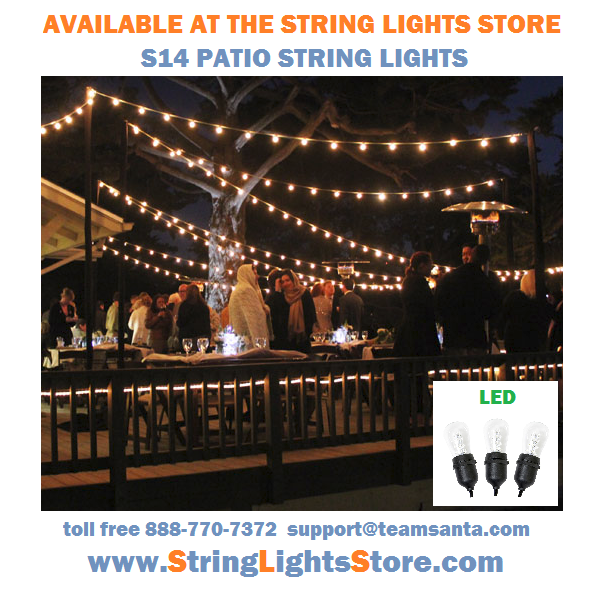 If you purchase 12 strings of wedding lights for $80 your ground shipping is absolutely FREE. 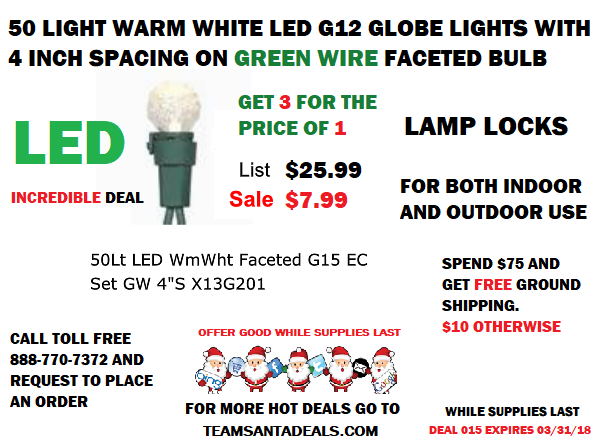 We encourage you to shop this deal against our competitors and you will ultimately see for yourself that Team Santa Inc. has the best deal in town. The white wire smoothly blends into the background so the wire is not visible. Sometimes couples in matrimony or wedding planners decorate the wedding ceremony and reception with white wedding lights. That’s because white wire white string lights are hardly detectable except for the mini bright white light bulb. This makes wedding lights perfect for trellises because trellises are usually white so they match just perfectly. Don’t wait too long to order this DEAL 005 either because the inventory is starting to run low. So DEAL 005 can end at anytime and without notice. As always, thank you so much for taking time out of your busy day to spend a few minutes with us. It really means a lot. 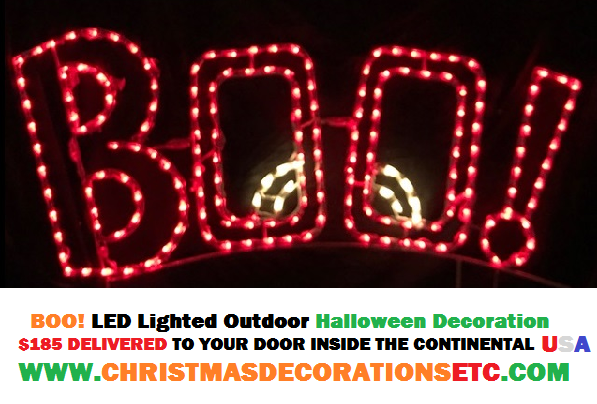 Our promise to you is that you will save money on seasonal string lights and decorations when ordering the DEALS exclusively offered by Team Santa Inc. Our deals will definitely bring to you the lowest prices found anywhere.